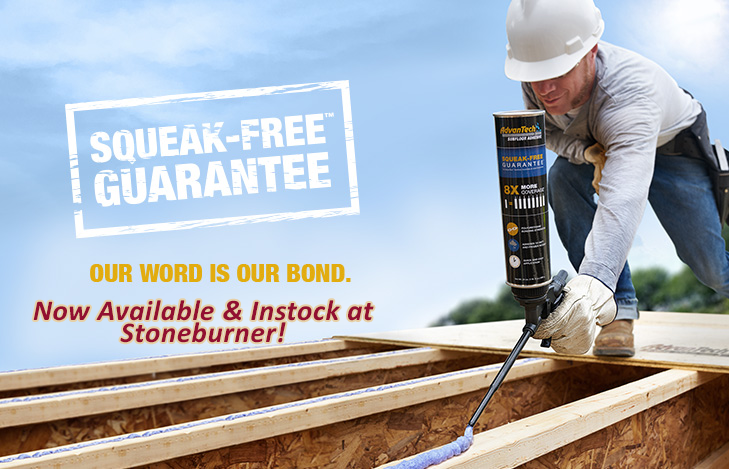 From the subfloor brand that builders trust comes new AdvanTech™ subfloor adhesive for subfloor assemblies so strong, you won’t hear a squeak — guaranteed1. 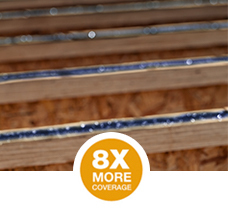 With a unique foam-to-gel formula and 8x more coverage2, AdvanTech subfloor adhesive delivers a powerful panel-to-joist connection with a fast, easy application even on wet, frozen wood3. One 24 oz. 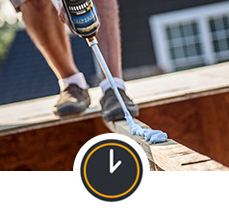 can yields 400 linear feet, which means you get advanced strength with less product for a cost-effective, speedy application. 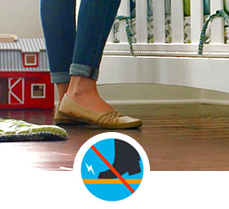 Together, AdvanTech® subfloor panels and AdvanTech™ subfloor adhesive give you a bond so strong, it’s backed by the industry’s only Squeak-Free Guarantee™. 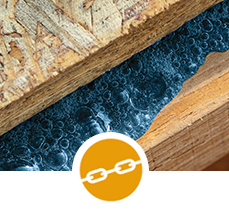 Formulated to adhere to wet and frozen structural subfloor panels and joists, this moisture-curing poly adhesive is the ideal solution for not so ideal weather conditions. 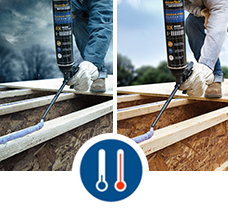 No matter what region or season you’re building in, AdvanTech™ subfloor adhesive maximizes adhesion to keep subflooring stiff and quiet. 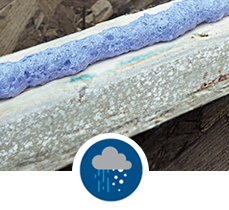 Ask your lumberyard about the AdvanTech™ subfloor adhesive starter kit to get you started on your next project.